Grab your honey and head for the woods. 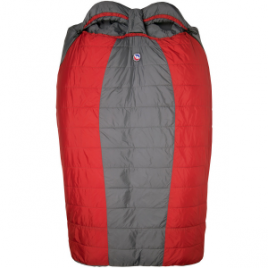 The doublewide Big Agnes Big Creek 30 Degree Synthetic Sleeping Bag takes care the two of you from spring to fall. A zipper on each side of the bag makes escape easy for either of you, and the extended height accommodates folks up to 6’2″.